Gentle TruExtract™ processing method uses no enzymes or harsh chemical solvents such as methane, hexane, or ethyl acetate. We don’t use methods that leave metallic residue by accelerating the natural extraction process. All of our Stevia ingredients are USDA Certified Organic and Star-K Kosher. We have set high standards that can only be met by avoiding pesticides and harsh solvents. 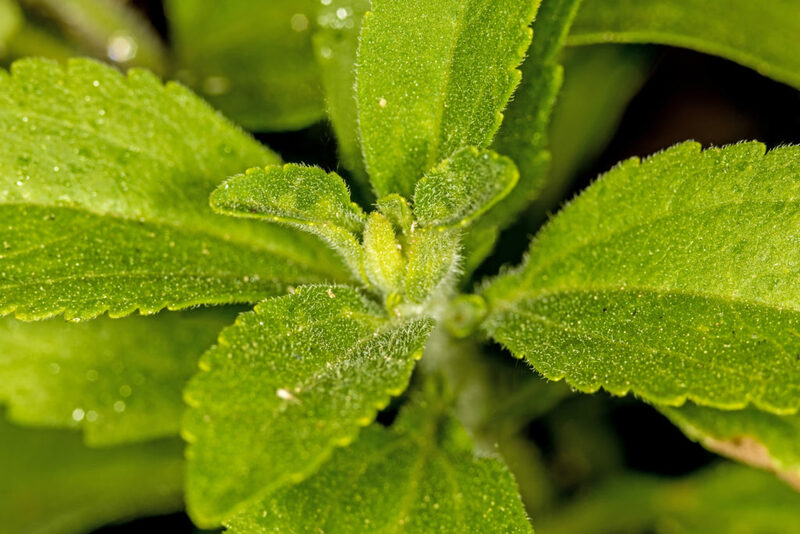 The Materia Organica Stevia Extract Absolute Powder is known for its clean, bitter-free taste. We harvest the highest grade Certified Organic stevia leaves, then process using no harsh solvents. At Reb-A levels of 98% and over 99.99% Stevioglycosides, Materia Organica Stevia Powder is a deliciously sweet no-calorie sweetener with no aftertaste. It’s 100% pure with no additives, fillers or chemical residues, and a little goes a long way.